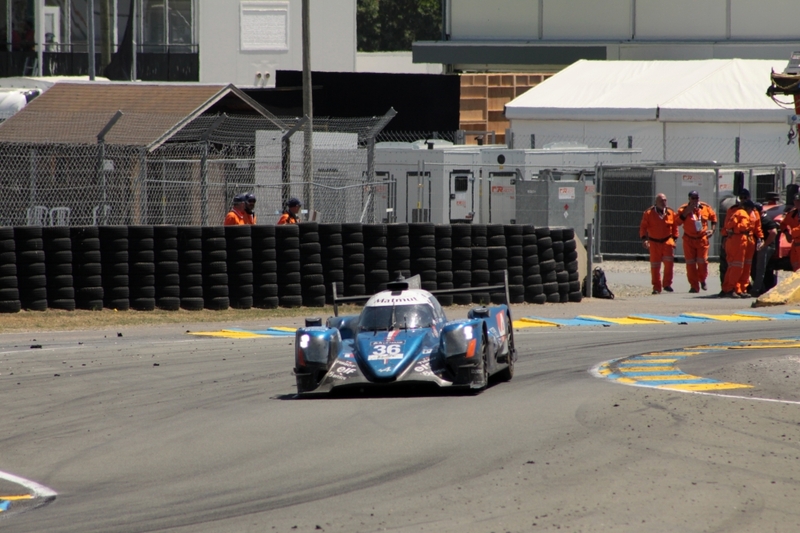 We were back at Parking Blanc by 10 am by which time the sun was really making it's presence felt again and none of us favoured the idea of standing out in it for any length of time, so we made our way back to Dunlop and the Espace Club for cold drinks, comfy chairs, TV and timing screens! 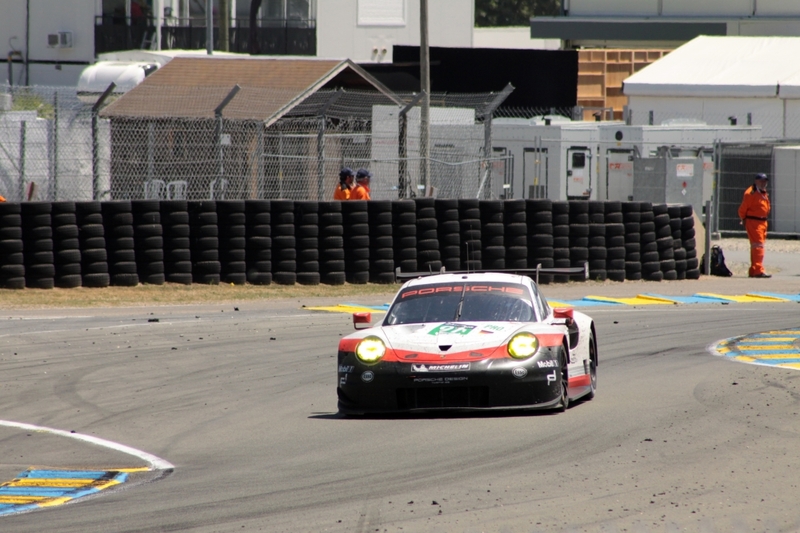 By this time the #1 Porsche still had a huge lead while the sister #2 car was already back into the top 5. 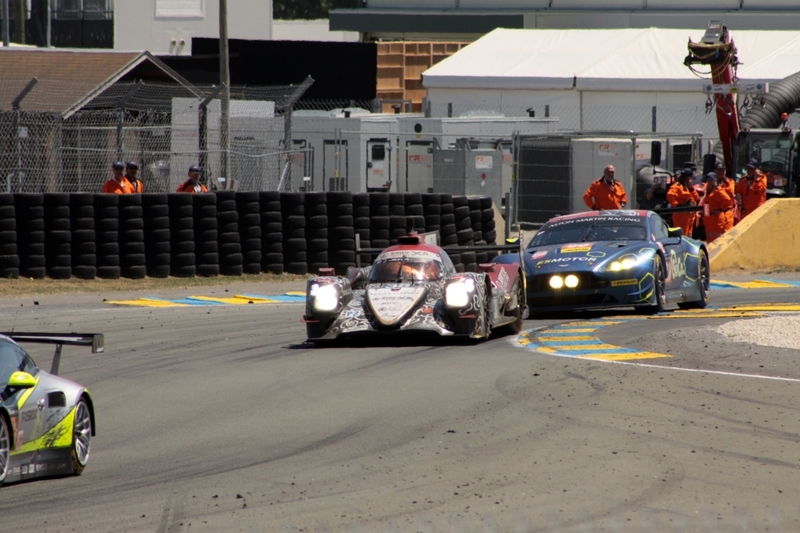 The delayed #8 Toyota was still a long way back having been delayed in the pits last evening for twice as long as the Porsche. 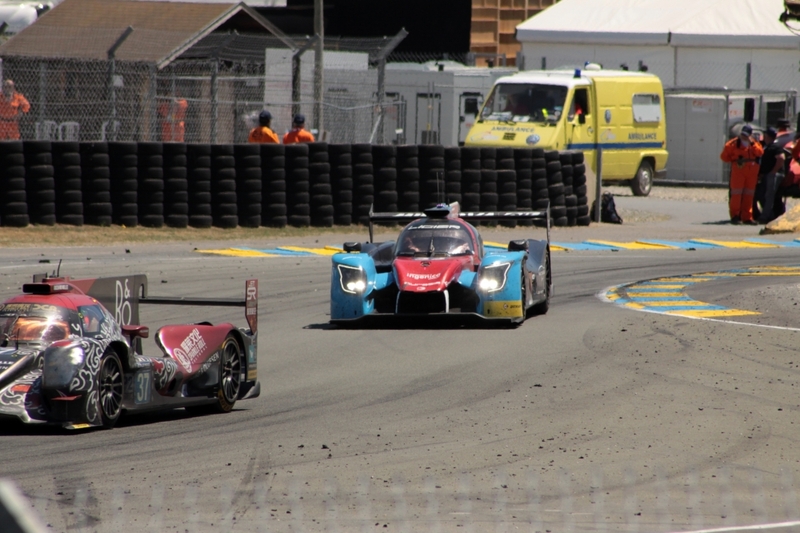 Rebellion were now suffering some problems with gearbox and starter motor, leaving the JCDC Racing Orecas looking very strong. 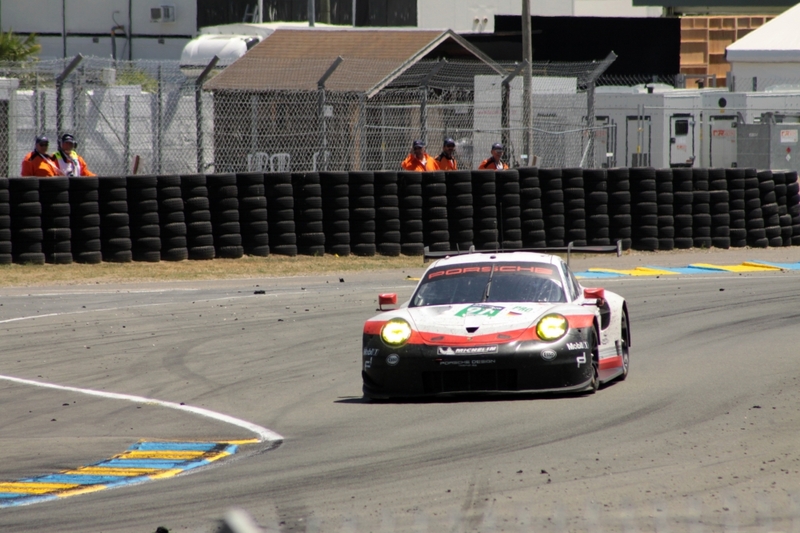 At about 10.45, having been half-slumbering in our chairs we were jolted back awake as the leading Porsche suddenly slowed, apparently with zero oil pressure. 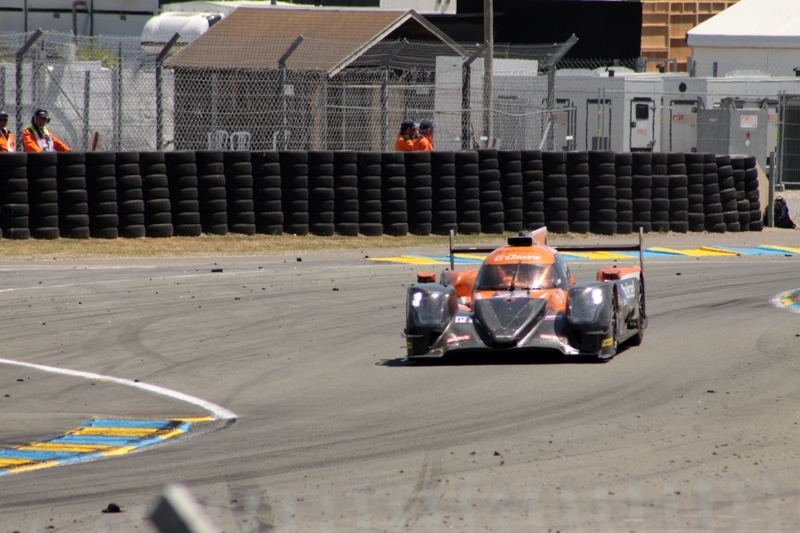 I'm sorry to admit that there was a degree of delight in our crew as it dawned that there was a possibility that a P2 car could actually win Le Mans overall....But only for a nanosecond. 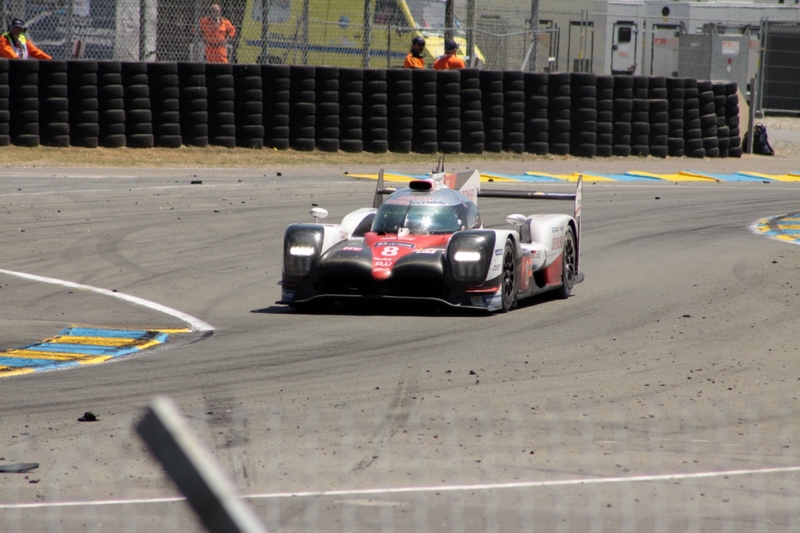 I felt sorry for Lotterer and co, but that feeling very quickly passed - what goes around, comes around, as they say. 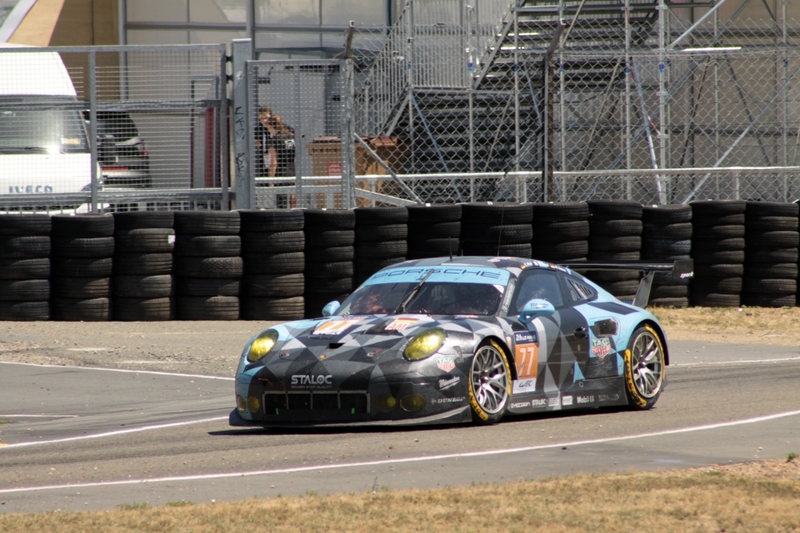 Despite everything we knew only too well that there was more than enough time left in the race for the remaining Porsche to win. 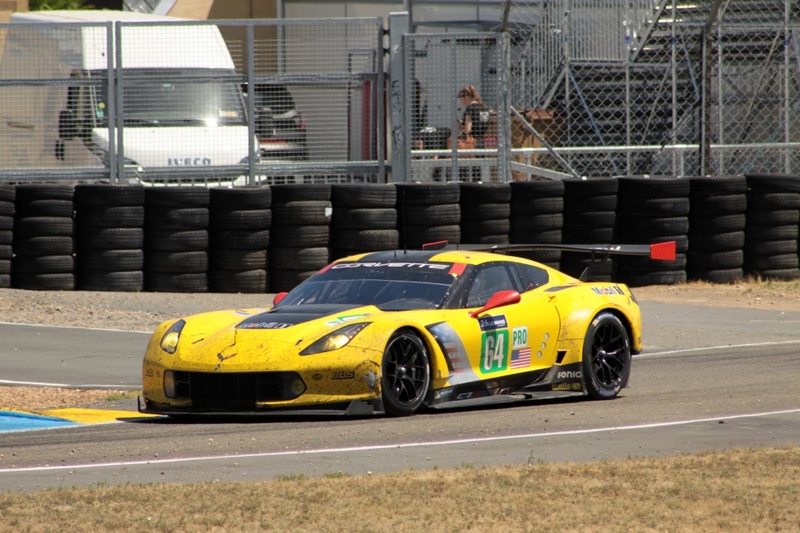 They had to run fairly hard, but it was a shame that they didn't lose another ten minutes or so in that pitstop, so that they had to push absolutely flat out all the way to the end. 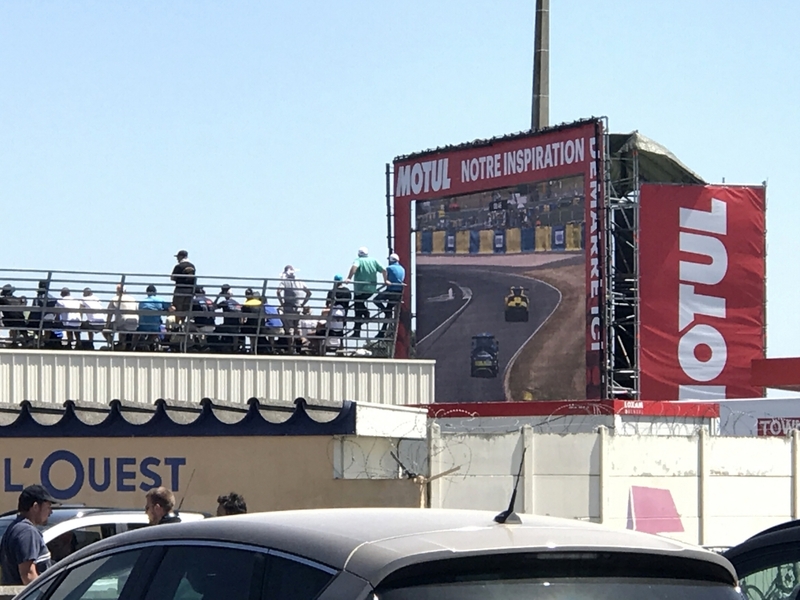 We left the Espace Club and the very welcome excitement of the last hour to make our way back to our seats in Raccordement for the end of the race. 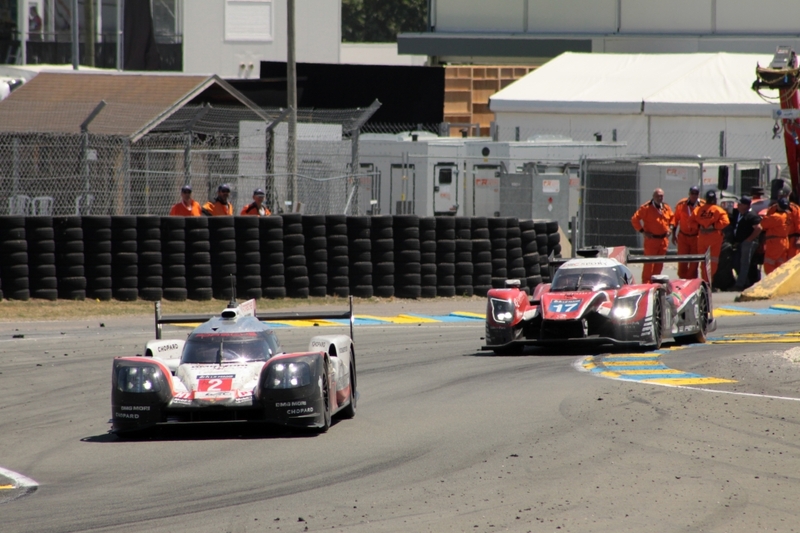 Inevitably the #2 Porsche ran faultlessly to the end and easily overhauled the leading P2 car, much to the pleasure of the flag-waving pretty people in the Porsche Experience Centre just to our right. 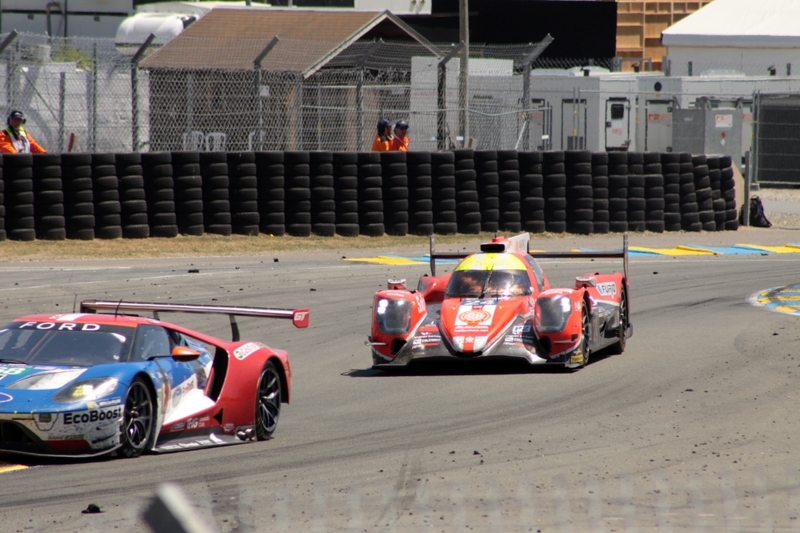 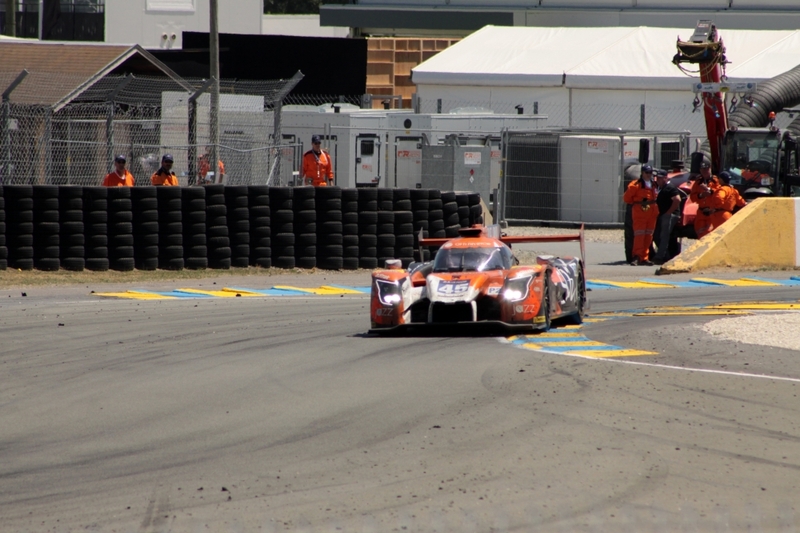 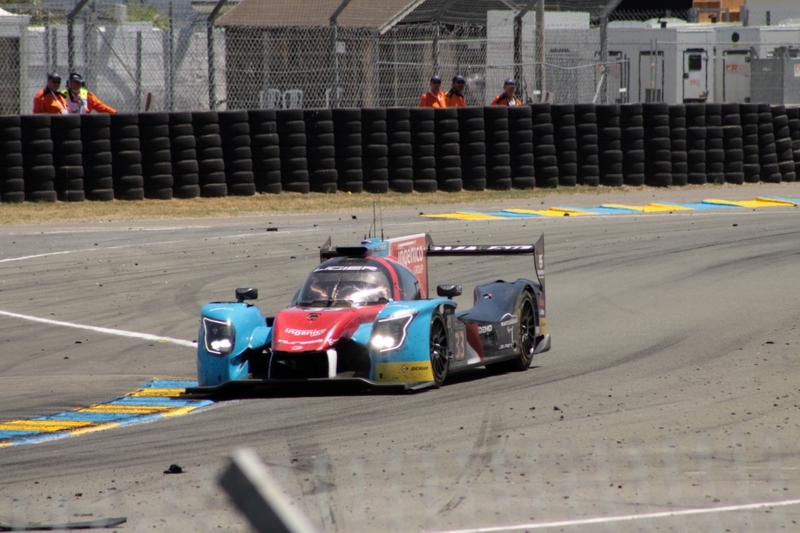 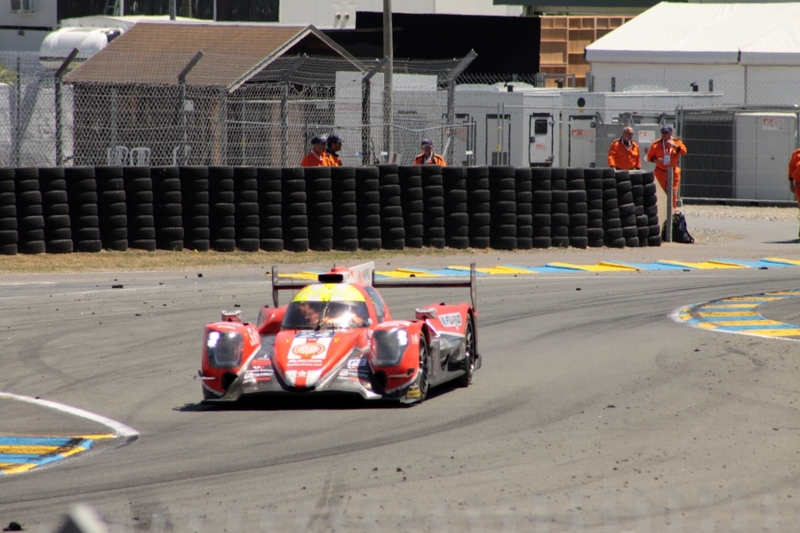 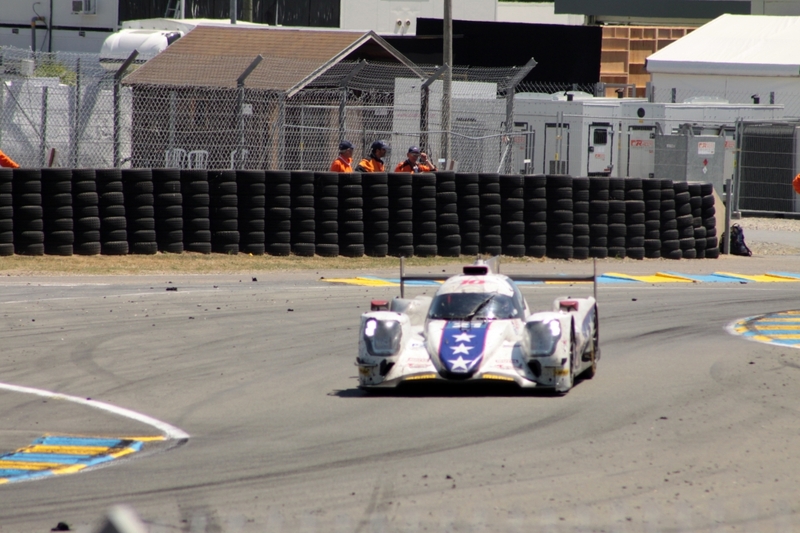 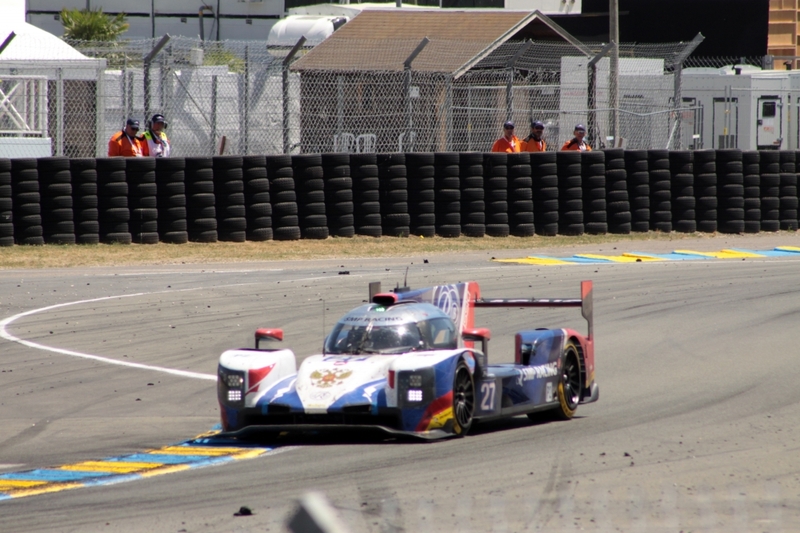 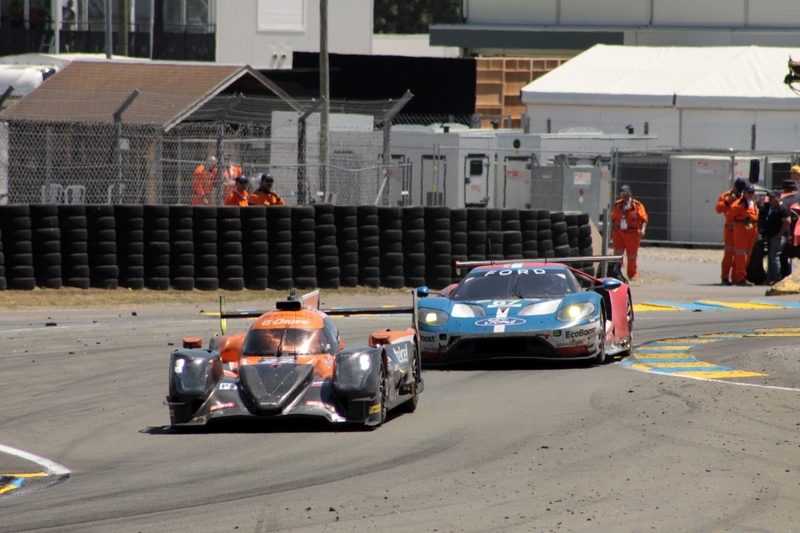 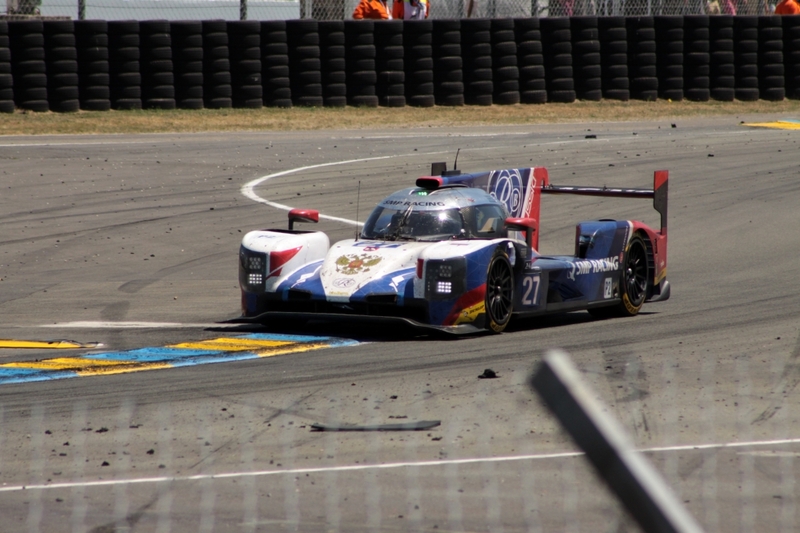 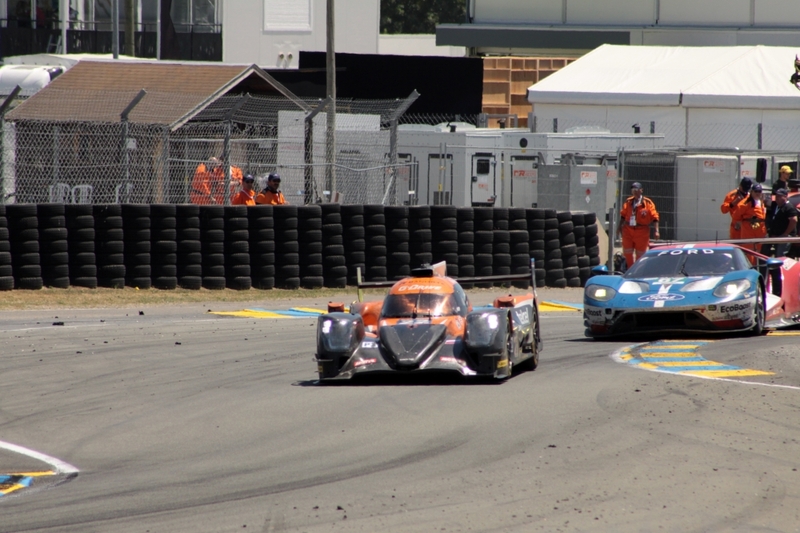 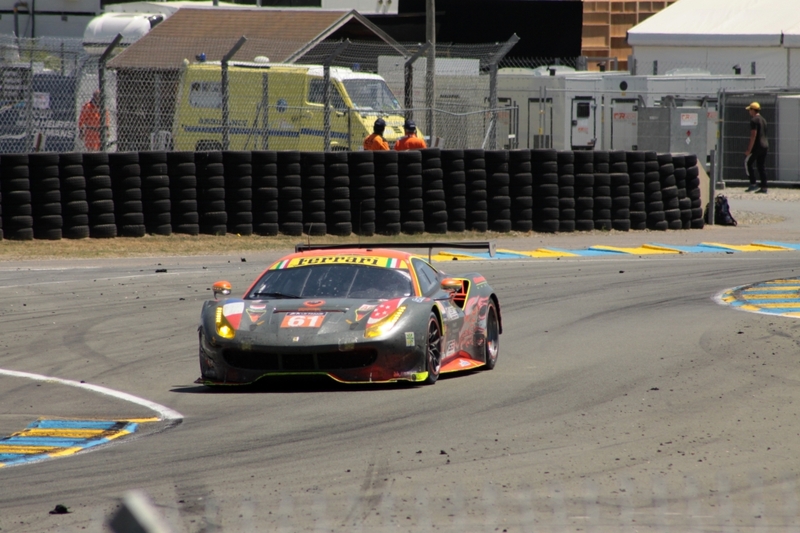 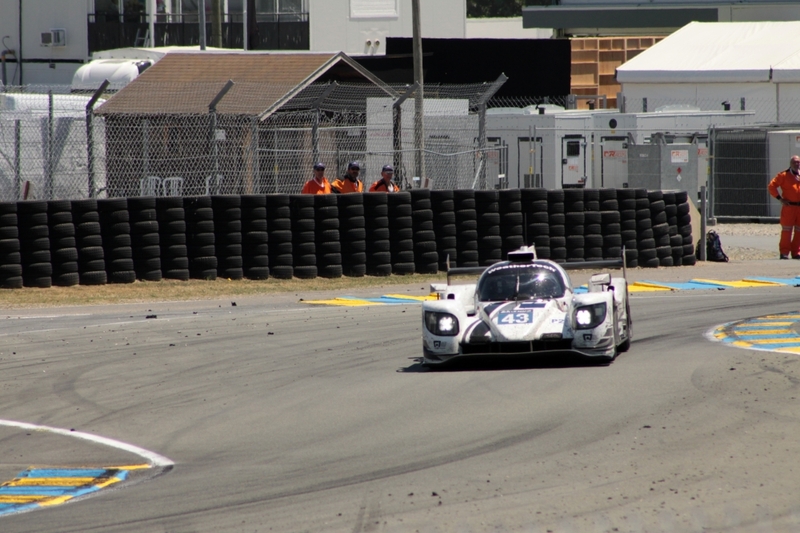 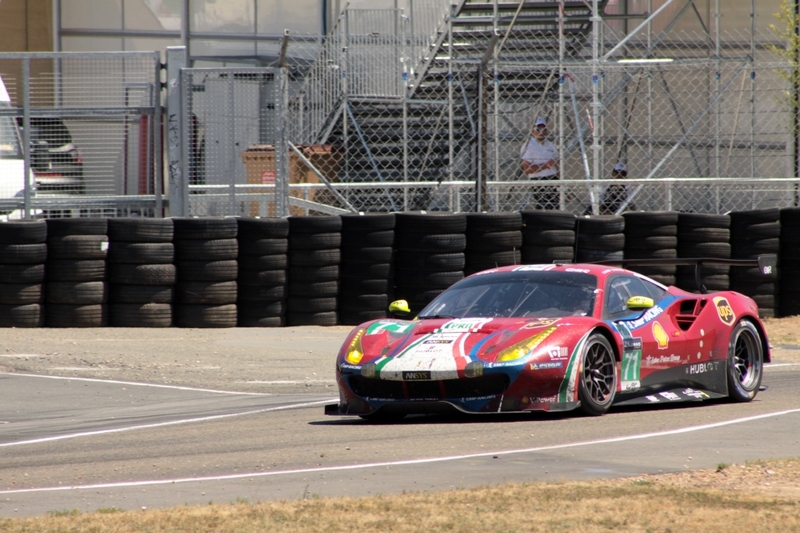 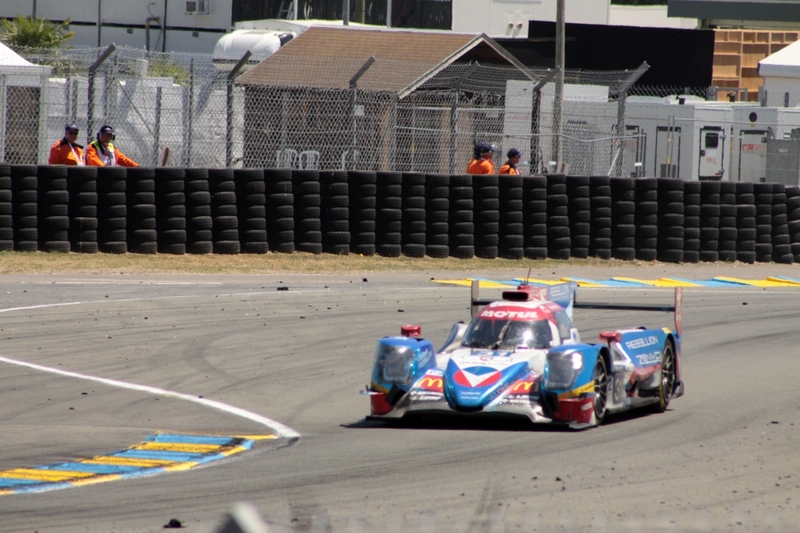 The JCDC Racing team won LMP2 while the dominant JMW Ferrari deservedly triumphed in GTEAm. 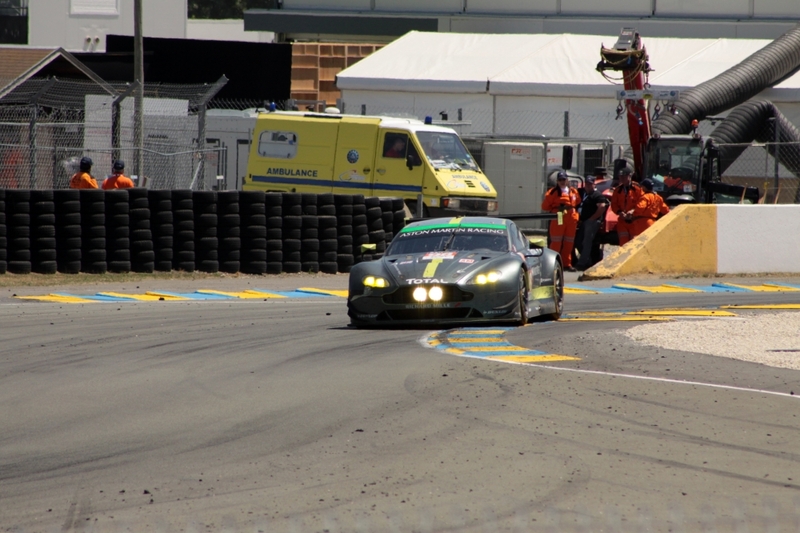 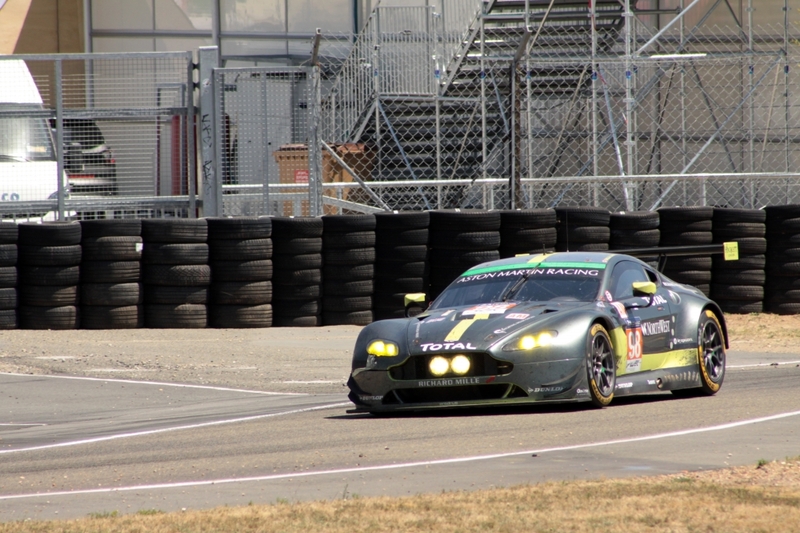 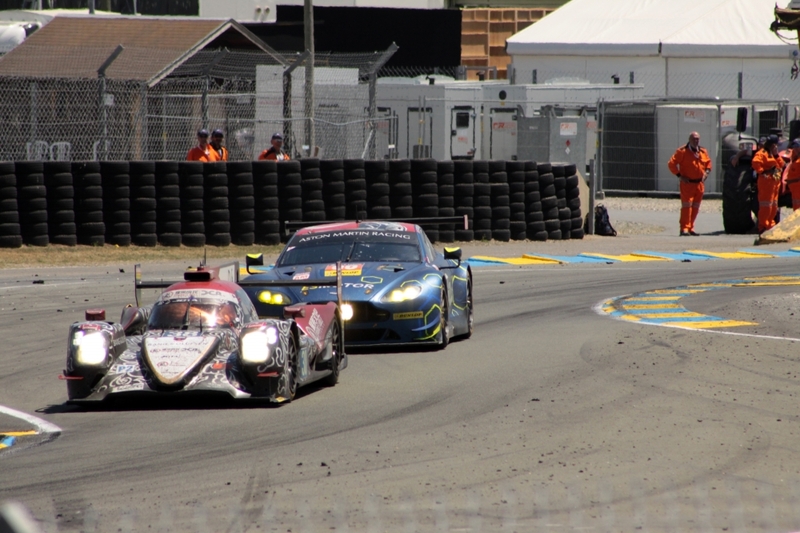 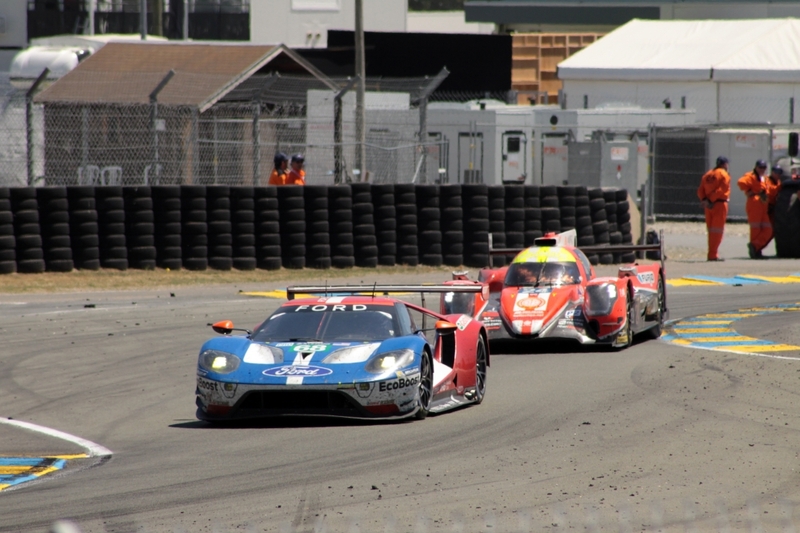 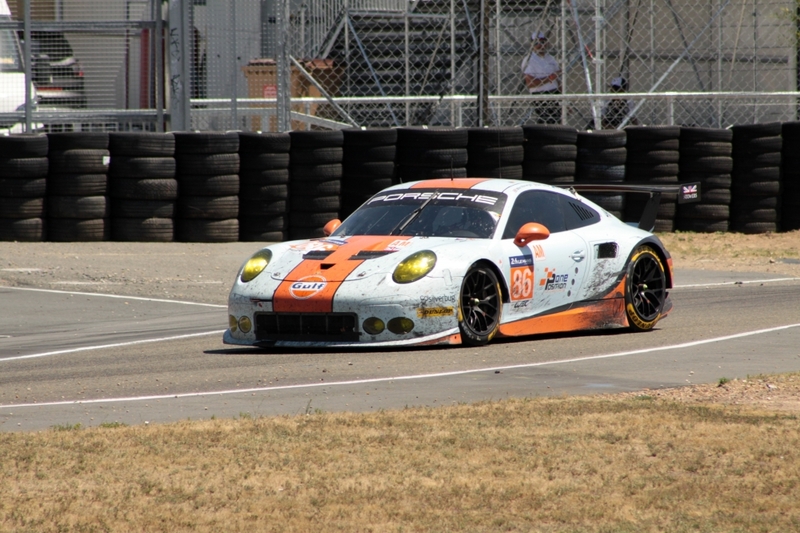 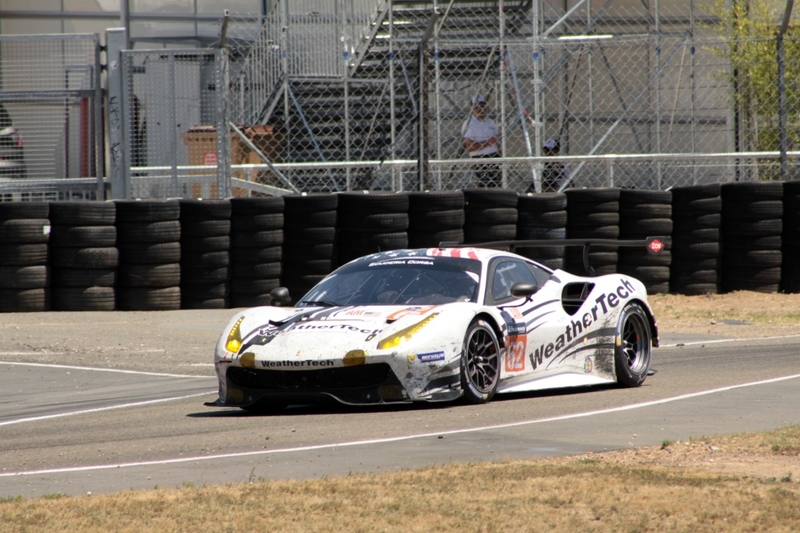 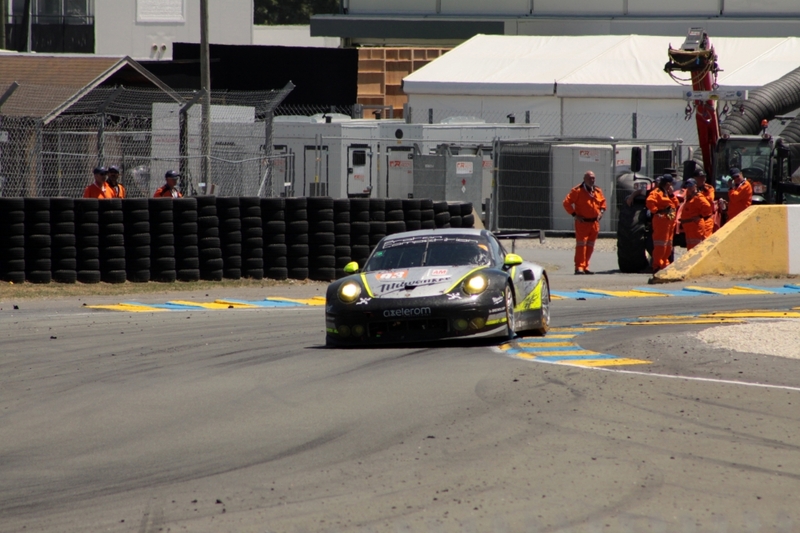 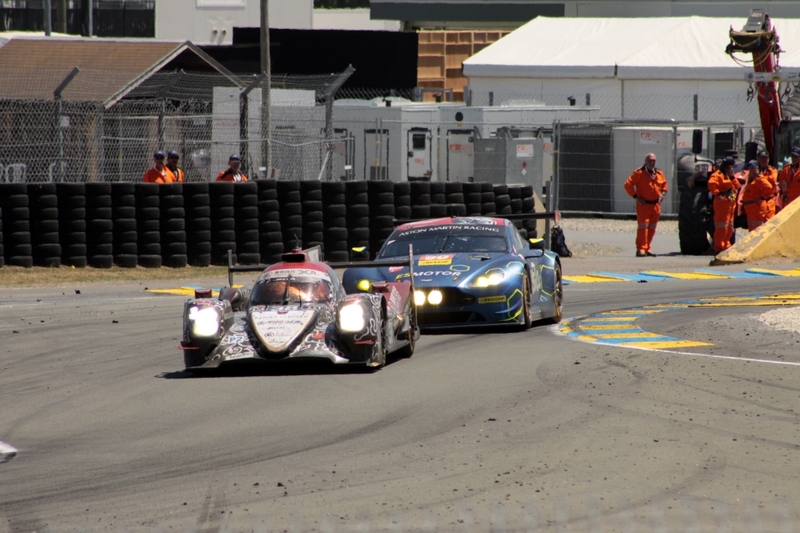 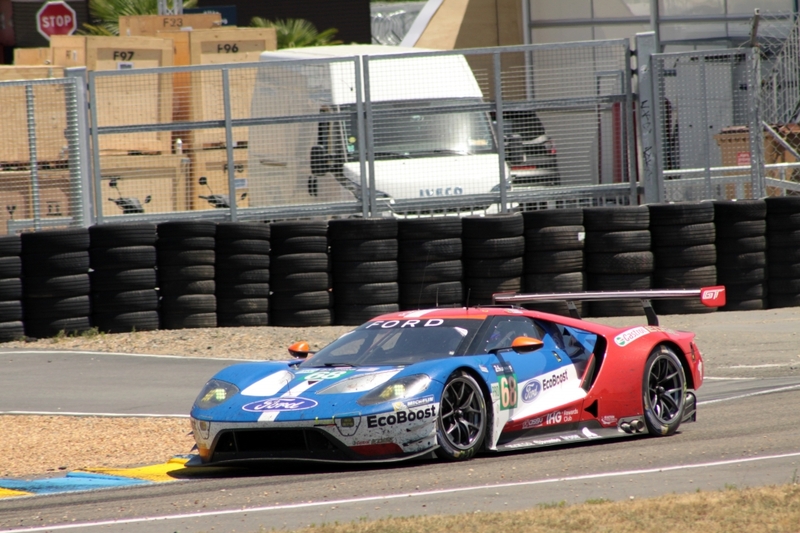 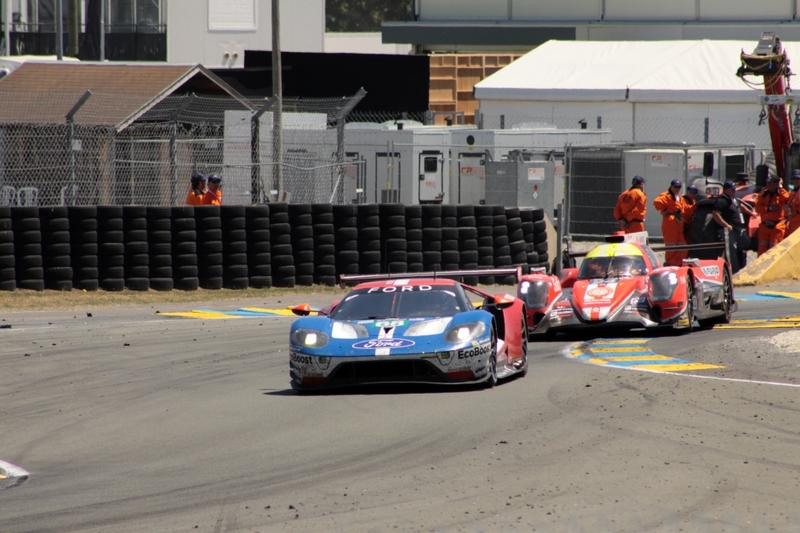 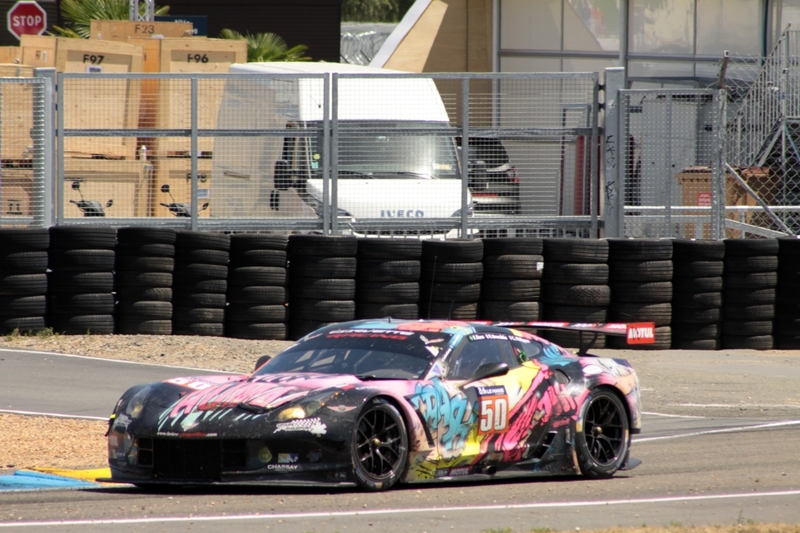 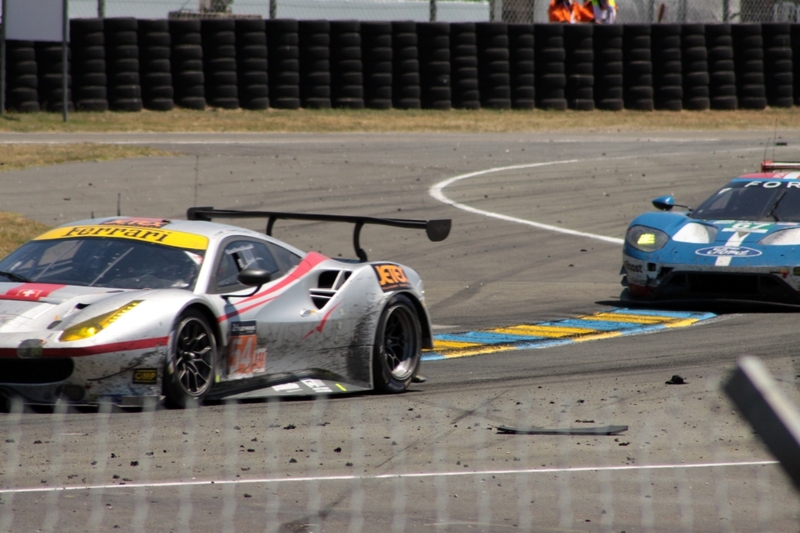 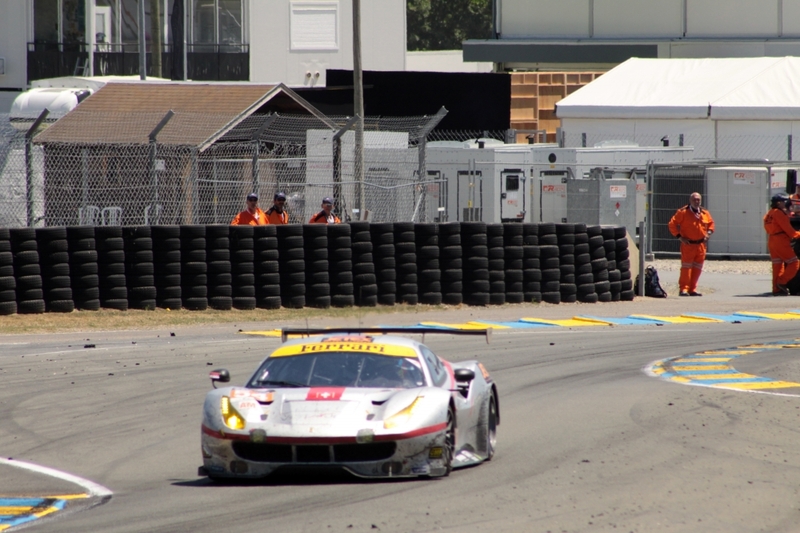 The only real excitement at the end of the race came in the GTEPro battle between Aston Martin and Corvette, with the Aston taking the spoils after some hard wheel-banging racing. 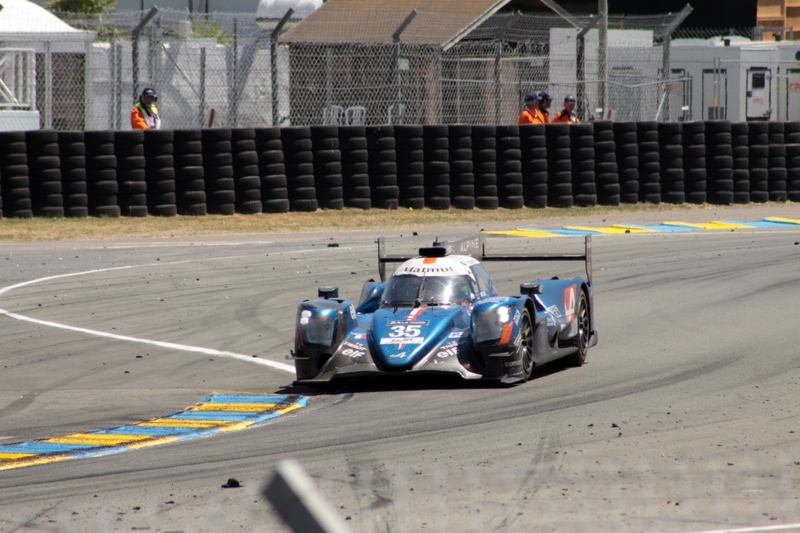 In true Team DoT fashion we were very quickly to the cars and set a new record on our way back to the hotel, arriving 'lights to flag' in what I suspect will prove to be an all-time record of just 24 minutes. 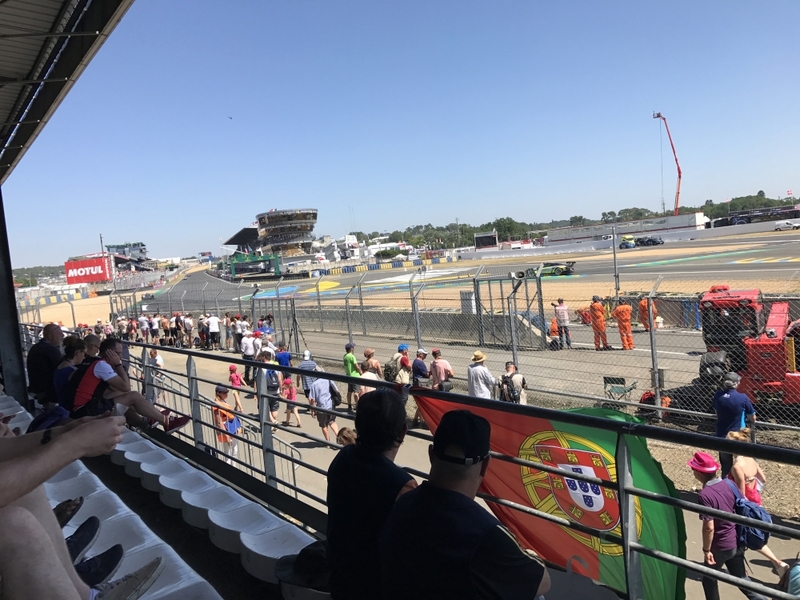 It had been a very tiring weekend with the constant heat sapping my energy throughout, not helped by the (to me) rather disappointing outcome of the race. 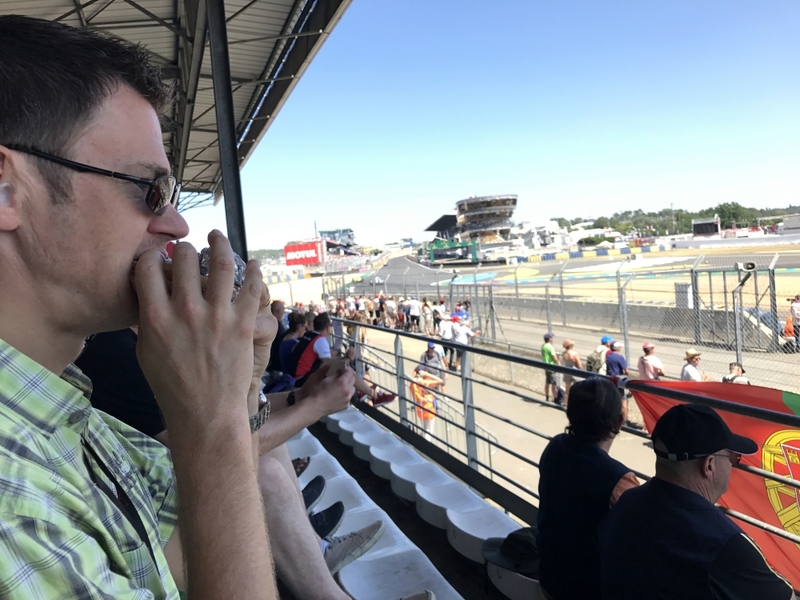 I was dog-tired but after another shower and change of clothes, I was set up for dinner, this time to be taken at the Hippo Grill where after an initial repeat of the less than attentive service we'd experienced earlier in the week, the meal turned out to be pretty good. 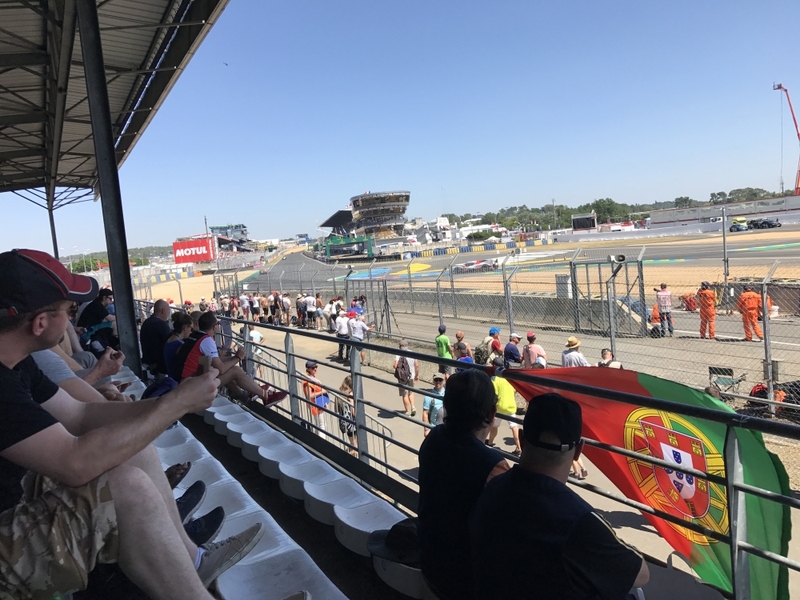 Having eaten deliberately early, we were back to our rooms by 8.15 at which point fatigue and the need for sleep dictated a very early night.